Charlie Austin could receive a ban for his gesture to a group of Manchester City fans who booed him as he was subbed off on Sunday. 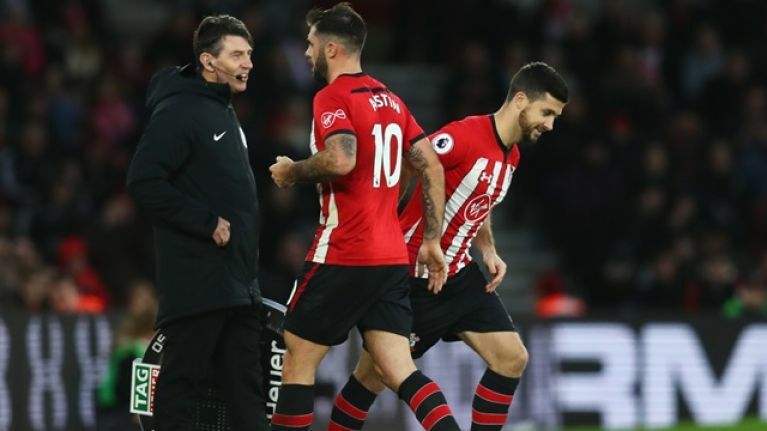 A frustrating afternoon for Austin came to an end when he was replaced by Irish striker Shane Long towards the end of Southampton's 3-1 defeat at St. Mary's. Austin had been booked ten minutes earlier and was on the receiving end of some goading from City supporters as he made his way off the pitch. 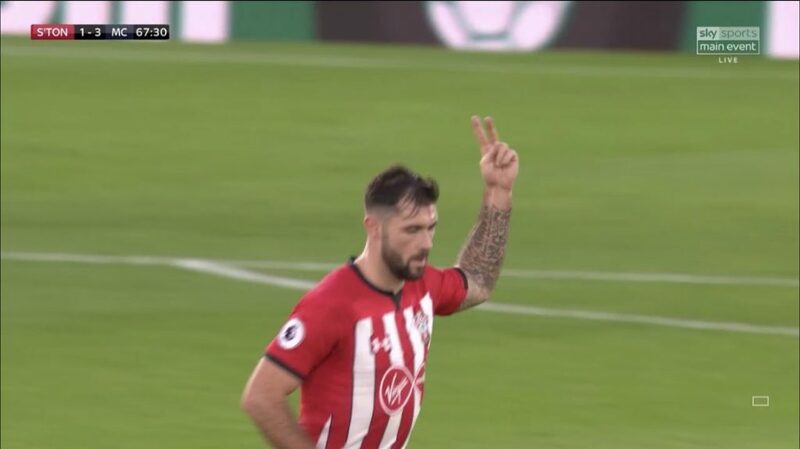 Sky Sports cameras picked up the Saints front man seemingly flicking the 'V' sign at the booing fans as he jogged to the bench and should referee Paul Tierney report that he did not see the incident, Austin may face retrospective punishment from the FA. In 2013, then-Arsenal midfielder Jack Wilshere was banned for two games for putting his middle finger up to City fans during a 4-2 defeat at the Etihad but a suspension is not guaranteed for Austin by any means as earlier this year, Watford captain Troy Deeney escaped retrospective punishment for the same gesture aimed at Chelsea fans after he scored a penalty. Neither City manager Pep Guardiola nor Southampton boss Ralph Hasenhuttl commented on Austin's ill-advised reaction in their post-match press conferences.